EM Chalk One Up "Chalky"
Back under saddle to be sold as a riding horse. 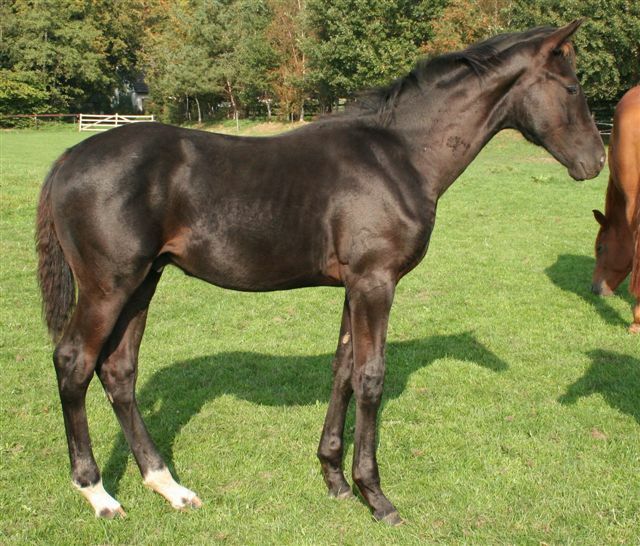 She is perfect for the amateur dressage or hunter rider. SOLD! congratulations to Stacy Markel of GA! Whindlass went to the MAHB Mare Performance test on Nov. 4-6th, 2006. This was her first time off the property and she was super. In the free jumping chute, she knew her job and received a 7 for technique and a 7.5 for ability. 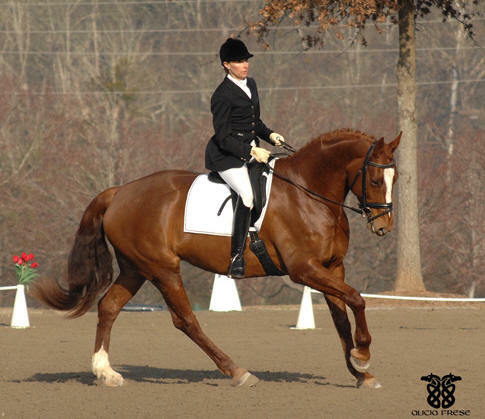 In the under saddle portion, she received and 8 for rideability, 7.5 for walk and trot and 8 for canter. Her final score was a very good 7.64. 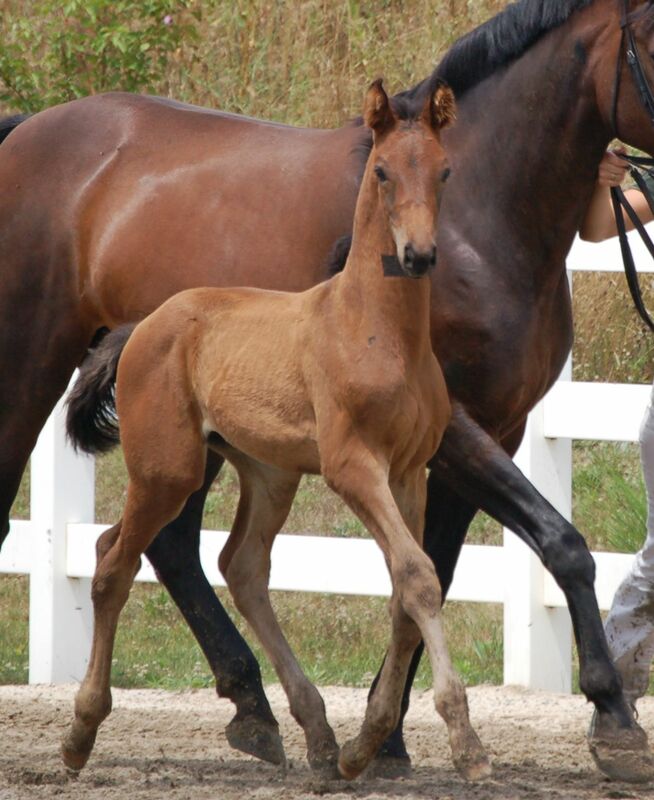 She is a new Elite Mare Candidate! I will post photos as soon as I get them. 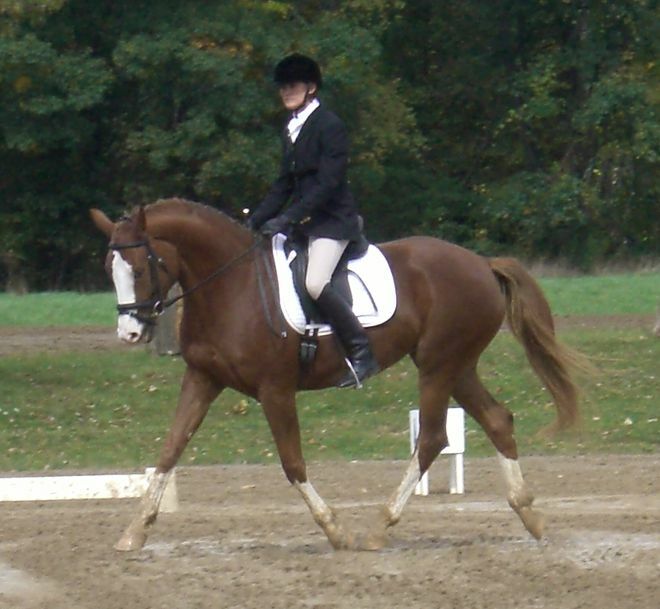 She is very quiet and easy to ride with enough movement to win in the hunter ring or the dressage ring. She shows a hunter-type form and ability in the free jumping chute. SOLD! Congratulations to Christine Felker of High Shoals, GA! 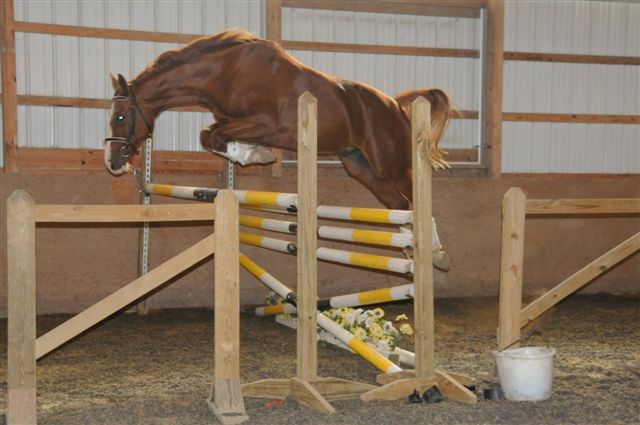 A super jumper with really good gaits as a bonus! SOLD! congratulations to Katy Kropt of PA! Jim and I went to Germany and Holland on our vacation and we finally got to see Shayne and his momma! He is very tall, with a front end to die for. We didn't really get to see him move, unless you count playing and bucking in the pasture..SPS Rotissima looks great, too.